The first meeting of PRgang discussed the question “Can you do current PR?“ A lot of candidates crowded the venue last Tuesday. Many important people performed to the students and others interested in the topic. Everyone interested in current PR had a chance last Tuesday to hear interesting points about borders between Journalism and Public relations and concrete practical experience from the leaders in the field. PRgang, which connect the most talented students and mentors from practise, organized the first meeting. They invited teachers and staff from Masaryk University and the specialists from the practice. The meeting aroused great interest not only among students, but also among the wider public. The event was sold out days before. 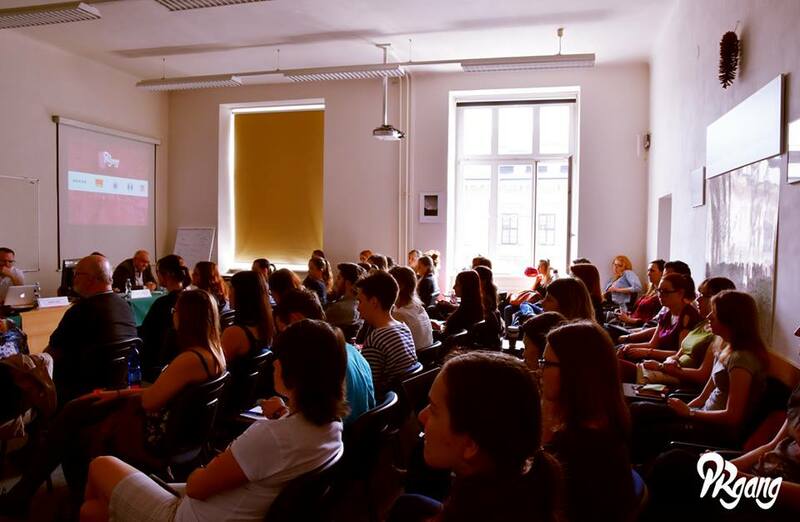 Speakers in the first block were Jaroslav Čuřík, Jan Tomandl, Filip Hrůza, who are teachers from Masaryk University and Tereza Fojtová, the head of communication of Masaryk University. In the second block spoke CEO of agency Lesensky.cz Petr LEsenský, Account director from Ogilvy PR Milan Kříž, freelancer Martin Pilát and businessman David Kirš.